Although the Council didn’t meet the target there were numerous achievements. 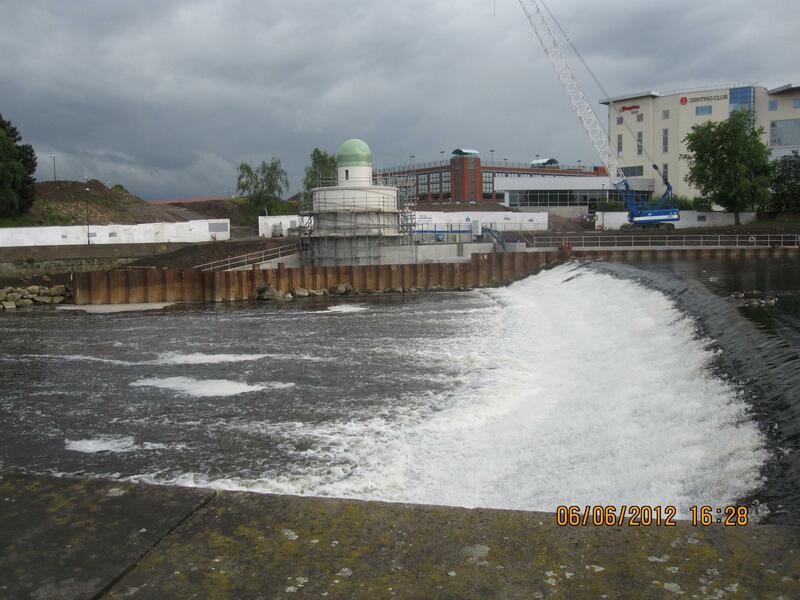 One example is the hydro-plant on the River Derwent (see the photograph above). The work covered a wide range of project areas, from reduction of energy use in Derby homes and businesses, to reducing the carbon footprint of the Council’s own buildings. Crucial common work included raising awareness of climate change and promoting actions and measures that could be taken to tackle, what has been described as the biggest threat facing the planet today. This being the reason Derby Climate Coalition was so disappointed by the Council’s decision to cut funding and disband the CCEMU; especially at a time when the projected impacts of extreme weather events caused by climate change become increasingly more serious for Derby City’s householders, businesses, and infrastructure. For many years Derby Climate Coalition with CCEMU acting as a ‘critical friend’, supported the numerous initiatives the unit was involved with, along with projected climate impact issues both were championing. Therefore it a huge disappointment that the Council’s Climate Change and Energy Management Unit, was shut down last Friday, April the first. We at Derby Climate Coalition would like to say a big thank you to Andy Hills and his team, past and present, for all the help and assistance they have given our group over the years. It’s been great working with you to help make the world a better place. Previous PostBad news about the climateNext PostGoing Backwards on Climate Change?